Weather: The day started extremely with a little shower later in the day. 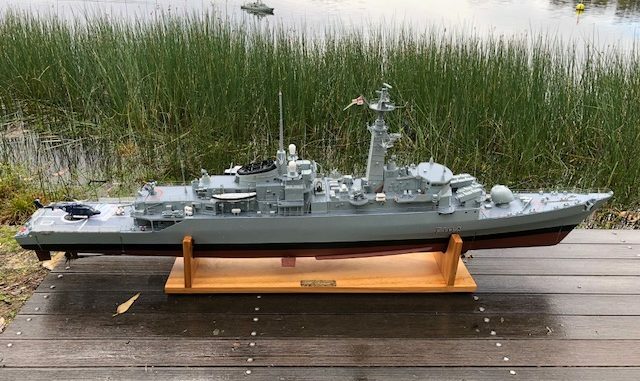 Members and Ships in Attendance: Skippers in attendance with their charges were Andrew – JMSDF Osumi, Nige – HMAS Toowoomba, also in attendance were Glen, Graeme, Richard and Bob. The day commenced with a breakfast for all our members that attended, the west have been experiencing an above average rainfall over the last couple of months which has been hindering the sailing. Attending the breakfast was Andrew, Glen, Nigel, Graeme, Richard and Bob and we managed to keep the rain gods at bay for most of the morning, with only a couple of boats sailing. 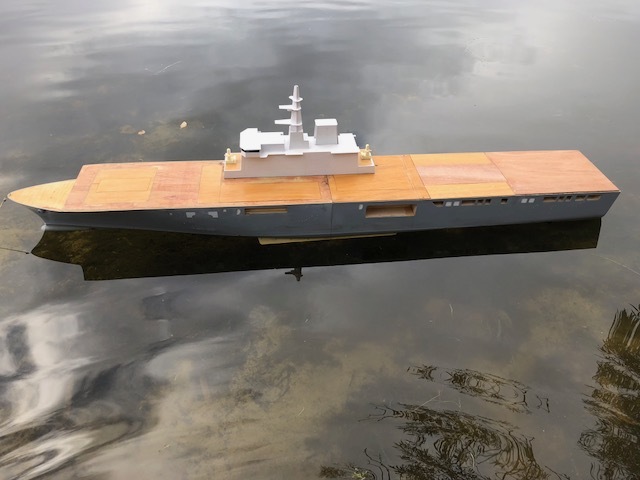 Andrew brought down his JMSDF Osumi after undertaking work on detailing the well deck and sealing it from the elements. 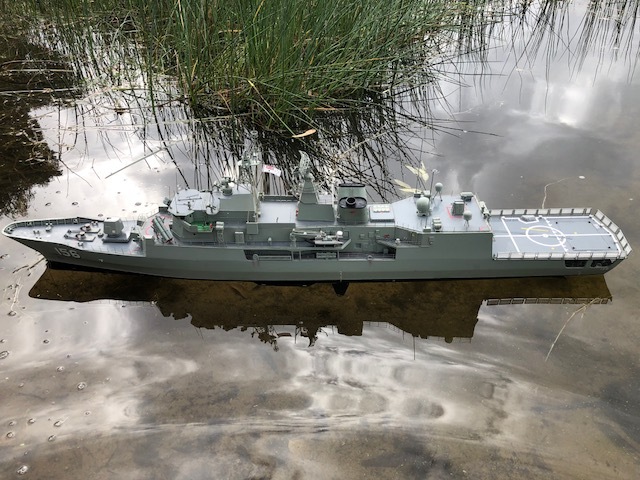 Nigel brought down his ever-faithful HMAS Toowoomba, which always looks good on the water, either rain or sunshine. 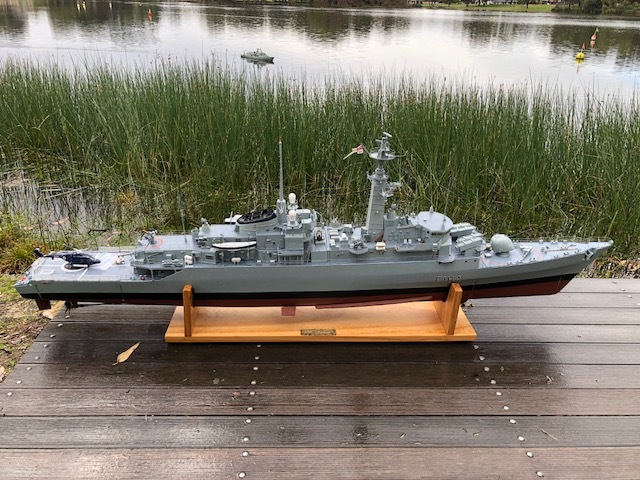 Anne also popped down to say hello and brought with her Serge’s impressive model of HMS Ardent, which always attracts attention to the lakeside spectators. It was nice to see Ardent, but it felt strange without Serge walking into the cold water in his thongs and shorts holding it whilst everyone is rugged up.